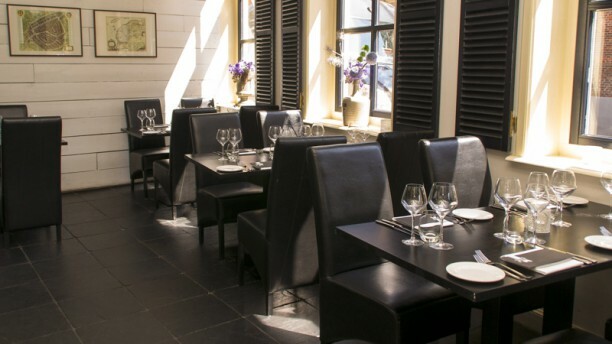 Restaurant Jacob is located in a beautiful building in the centre of Leiden. The restaurant guarantees modern French dishes that will definitely leave you wanting more. Head chef Jacob can move every guest with his own twist of French classics and only uses fresh produce and ingredients. Jacob is perfect for groups, but also for a cosy lunch or dinner. You will definitely be surprised by what this excellent restaurant has to offer you. We had a nice dinner at Jacob. The place looked cozy and warm and staff was attentive. We had a four course menu with fish and meat combined. In total we had a nice dinner, fresh food which tasted great. Pace was also perfect, with staff helping us to get home in time for the babysitter! :) We would definitely return here and advice you to make a booking in advance. Beautifully presented, exceptionally tasty combinations in an unpretentious setting. Friendly and professional staff. Highly recommended. Simply a great and honest place!! Love to be back here for a bigger group ???????????? Service good but overal a very slow experience. 4 courses in 4 hours. We enjoyed a pleasant meal. My husband n I were very happy with the food n service. The food was beautifully plated n tasted good. The fish n seafood were very fresh. The lady serving us was helpful n attentive. Would definitely recommend this restaurant. We had a delicious meal at Jacob including the optional fourth course. Each dish was very flavourful and looked beautiful! We thoroughly enjoyed it. Despite only three tables occupied that evening, the service was not very attentive. The atmosphere of the restaurant could be improved by more careful choice of appropriate dining music. Erg gezellige sfeer houden rekening met je eigen tijd tussen de gerechten. Flexibel met menu. Houden rekening met allergieën . A friend and I enjoyed a wonderful dinner at Jacob last night. The food is beautiful, refined and incredibly flavourful. The wine recommendation to go with the main course was excellent. We thoroughly enjoyed the dinner. Nice place and really nice food! The AH menu is quite complete, but you also have the option to add another dish for 9.50 euros each. The food is amazing! I recommend you to visit it! We went for the AH menu: Excellent food and excellent service! Certainly a restaurant we would recommend. We'll go back ourselves.